When you're spending time in your cabin or country home, you'll want to have fun inside as well as outside. A Game Room is a wonderful way to pass the time on rainy days. 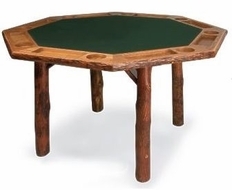 Imagine playing cards and other games on your own rustic furniture. 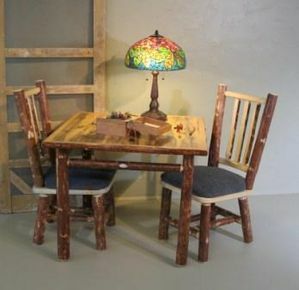 You can also go for a county bar feel with some of our bar furniture and stools. There's nothing better than a cool drink after a hard day of hiking and having fun in the wilderness. One place people tend to forget is the bathroom. It's not a place people spend a lot of time, but it's important the decor matches the rest of your cabin. 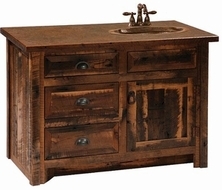 Our bathroom vanities and other furniture give your commode a luxurious look with the all natural wood you love.